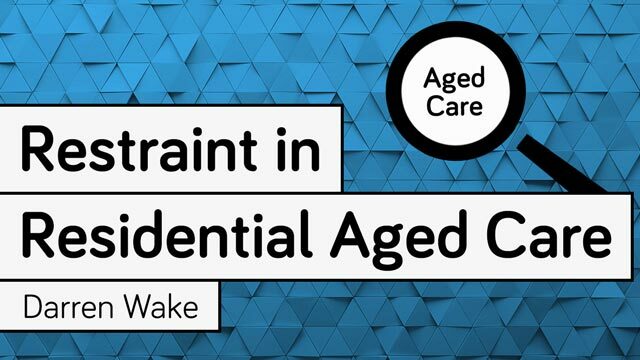 This Course explores current issues surrounding the use of restraint in residential aged care settings. All healthcare professionals caring for older people, particularly those who work in residential aged care settings. To support decision-making by nurses working in residential aged care settings in relation to the provision of safe, quality care and the use of restraints. The use of various forms of restraint is still common in residential aged care facilities and its use remains controversial. There are associated risks related to the inappropriate use of restraint. 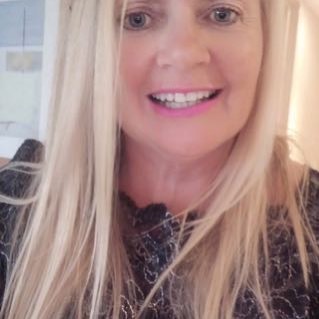 There are more beneficent alternatives, with aged care staff not always being educated on what these are, and how they may be implemented, or on what ethical and legal implications are associated with the use of restraint. Peripatetic and always intellectually restless, Darren Wake has pursued varied careers in journalism, media production, academic philosophy and nursing. As a nurse, he worked in the speciality areas of critical care, community care, remote area healthcare and education. As a formally qualified academic philosopher Darren taught undergraduate units in law and ethics in healthcare, although his principle research focus revolved around logic and the philosophy of language. Darren’s media production output can be found scattered about the Ausmed website and in his long forgotten days as a word monkey, he wrote for European publications such as The Scotsman, The Great Outdoors, Country Walking and The Times. In 2014 Darren consulted to the Department of Health for the development of Consumer Directed Care policy and guidelines for remote area communities in the Northern Territory. These days he is the managing editor of a small independent publishing company based in the United Kingdom, and lives in Tasmania. In his spare time, Darren is currently studying a formal course in celestial navigation, just in case the inevitable zombie apocalypse messes with the world’s GPS satellite system. In general, i have learned that there are many alternative options in taking care of agitated elderly patients. Excellent video learning activity for Endorsed Enrolled Nurses. This resource is relevant to my practice, it covered all aspect of my job now l feel confident dealing with any challenging behavior, this source had all the answers that I was looking for, use of familiar staff to reduce anxious behavior was the most important, and attending to their needs first make sure their comfort comes first. Good content, I liked the clear definition of restraint and the exception and circumstances under which certain 'restraints' may not considered so. Very practical for the implementation into Residential care policies and procedures. Some the questions and cases were repetitive which made the testing zones a little less engaging and thought provoking but generally useful over-all. I found this resource to be essential to support my decision making in the appropriate use of restraint in residential aged care and to assist me in providing safe quality of care for residents,staff and visitors.The importance of accurate,comprehensive assessment of the resident and triggers for challenging behaviors was reinforced.The importance of assessing for the medical emergency of delirium was reinforced.The alternative strategies to restraint were particularly enlightening.